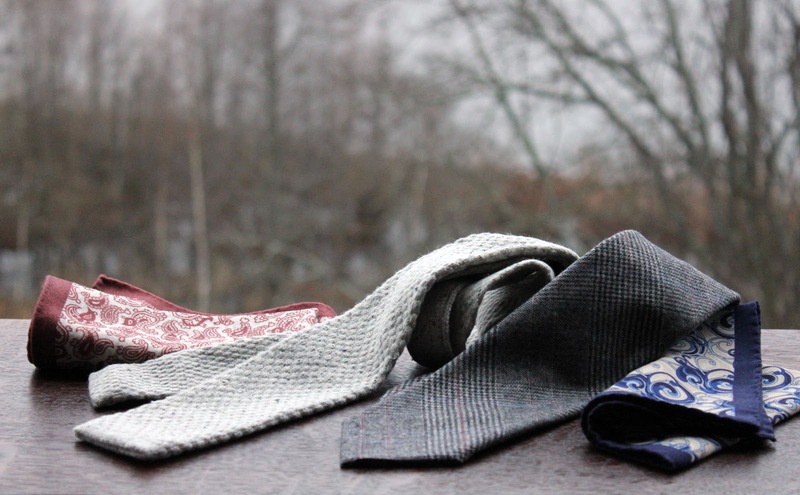 So, when the temperatures drop and you want to acknowledge the season in your accessories, wool ties can't be overlooked. I personally like them a lot and I've been looking for some new ones for quite a while. Berg & Berg introduced some quite interesting options this year, so I had to try out a few different ones. 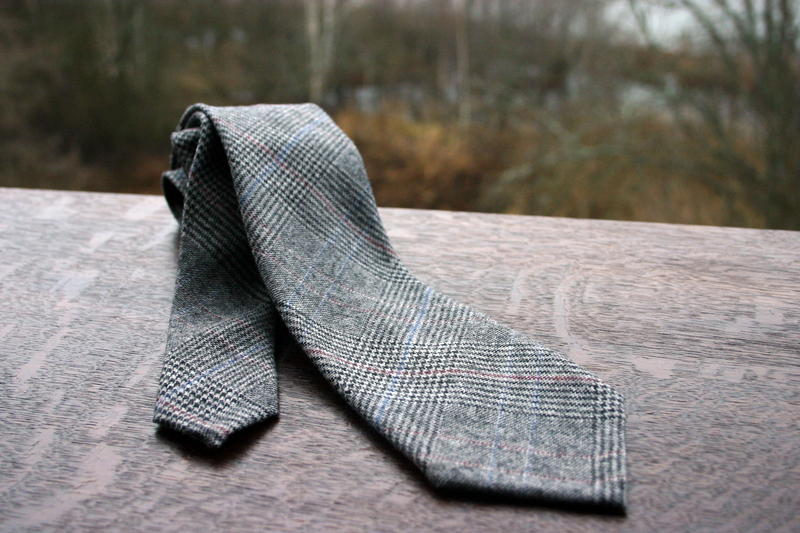 The first one is an unlined wool tie in grey Prince of Wales check. The wool is more soft than rough, and the tie has a very nice presence. A perfect option to go with a suit or an odd jacket. The second one is something amazing. 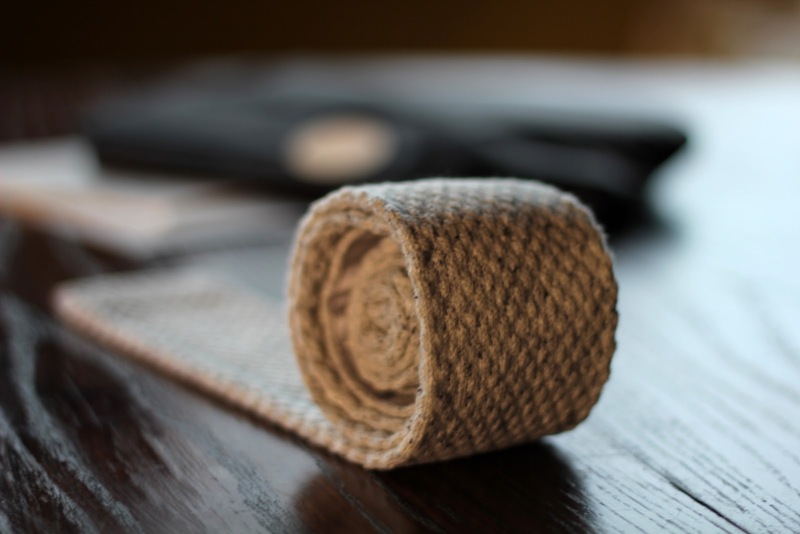 A knit tie made of donegal wool, soft and not overly thick it ties a beautiful knot. The material looks really nice and the darker flecks give it some of that "roughness" I always go on about. I've already used it quite a few times, and it is a wonderful tie as it works well with so many different kind of outfits. Good for just to be used on its own without a jacket, with a cardigan and naturally works well with odd jackets. A navy one would work beautifully with a heavier winter weight suit. Will be getting more of these, no doubt about it. So, there we go. Hopefully all three parts provided some inspiration and ideas. I have to say, the current collection is perhaps my favorite from Berg & Berg, and especially the knit ties and pocket squares have some very interesting and beautiful items. The glen plaid is perfect with a blue blazer. The donegal knit looks interesting. I hope you'll post a photo of it being worn so we can see how it knots. I agree Peter. I'll post something with the donegal knit soon, and it actually ties quite a beautiful knot. It's lighter in its construction than it looks, so you can pretty much tie it the way you want to.